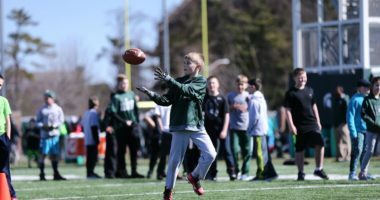 EAST LANSING, Mich. – Michigan State’s annual Green-White spring game, presented by McLaren Health Plan, has been scheduled for Saturday, April 13 at 2 p.m. in Spartan Stadium. On defense, the Spartans bring back 19 letterwinners and eight starters from a unit that finished ranked No. 1 in the FBS in rushing defense (77.9 ypg), No. 8 in scoring defense (17.2 ppg) and No. 10 in total defense (303.2 ypg). Out of a possible 143 starting positions last season over the course of 13 games, the Spartans are returning 105 of those starts (73 percent). Five of those eight returning starters started in all 13 games last season (LB Joe Bachie, S David Dowell, DT Mike Panasiuk, NT Raequan Williams, DE Kenny Willekes), while linebacker Tyriq Thompson started 12 games and defensive end Jacub Panasiuk started 11 games. 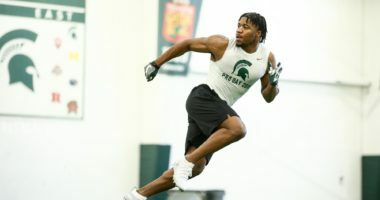 The Spartans will welcome nine starters back on offense, including two-year starting quarterback Brian Lewerke, leading rusher Connor Heyward and the top two receiving leaders in Darrell Stewart and Cody White. MSU returns 100 percent of its passing yards from the quarterback position, 81 percent of its rushing yards and 76 percent of its receiving yards. Out of a possible 143 starting positions last season over the course of 13 games, the Spartans are returning 107 of those starts (75 percent). Four of MSU’s first five games in 2019 will be in Spartan Stadium, including the season opener on Friday, Aug. 30 vs. Tulsa. 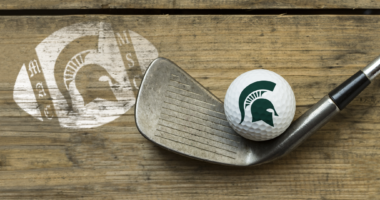 MSU also hosts Western Michigan on Sept. 7 and Arizona State on Sept. 14. 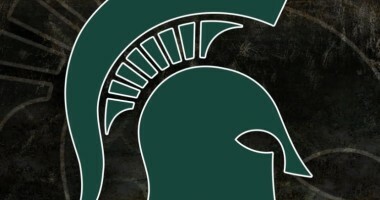 After the Big Ten opener at Northwestern on Sept. 21, MSU returns to campus for Homecoming on Sept. 28 to face Indiana. Following back-to-back road games at Ohio State (Oct. 5) and Wisconsin (Oct. 12), the Spartans have a bye and will then host Penn State on Oct. 26. After a second bye weekend, MSU will also take on Illinois (Nov. 9) in East Lansing before traveling to Michigan (Nov. 16) and Rutgers (Nov. 23). Senior Day will be Nov. 30 in the regular-season finale against Maryland in Spartan Stadium. The Spartans will begin spring practice on Tuesday, March 12.